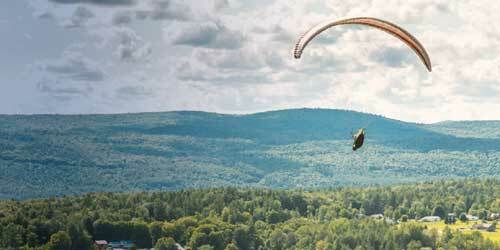 New Hampshire attractions offer fun and educational things to do for all kinds of visitors. In winter, the White Mountains explode with fun in the snow, and, for the indoor people in your party, plenty of shopping, museums, and dining. 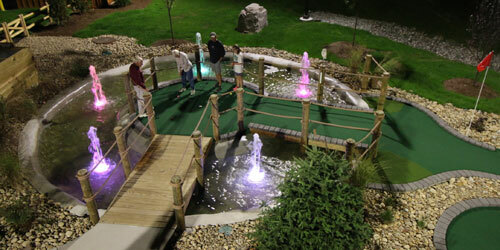 The warm season also are filled with outdoor fun, at golf courses, boulder caves, zip line parks, and much more. The League of New Hampshire Craftsmen shows its works at stunning retail galleries throughout the state. Living history museums include Canterbury Village, and Strawbery Bank in Portsmouth. Both are fun visits for families. For an interested day indoors, visit the New Hampshire Telephone Museum – fascinating! If all that weren’t enough, you can get your photo taken with a Budweiser Clydesdale, too. The natural attractions at Bear Rock Adventures are as numerous as the off highway recreational activities from jaw dropping vistas, unspoiled and remote settings, to the diverse landscapes and wildlife of the Great North Woods. 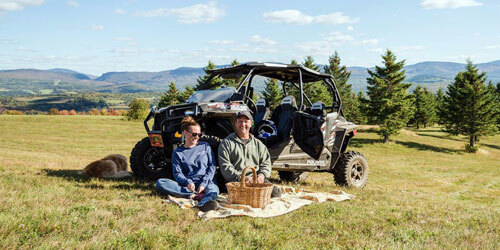 Head out for a day or more on the 1000+ miles of the Northeast's largest interconnected ATV trail system. Hop in a float plane and transfer over to white water rafts. Explore waterways by canoe or pontoon boat. 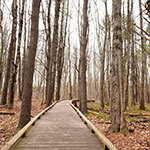 Hike on beautifully maintained trails and bike on some of the best dirt roads and multi-use trails you’ll find. Eat & stay along the way. There’s great camping plus cabins and lodges, hotels and motels, B&B’s and private homes. Bear Rock Adventures is open now through September 30, 2018. What tales you will tell when you get back from Story Land, where rides and live entertainment have been thrilling families for over 60 years. There’s the time you and the kids conquered the Roar-o-Saurus wooden roller coaster, twirled around in Alice’s Tea Cup and got splashed going down the Bamboo Chutes! You’ve tooled around farmland in a mini-tractor and road in a magical pumpkin to Cinderella’s Castle!. From touring the 35-acre park in the Huff Puff & Whistle Railroad to panning for gemstones in Los Bravos Mining Co., there is something for everyone in the “Land Where Fairy Tales Come to Life.” In addition to over 30 attractions and uniquely themed rides, you can play family-themed games, join Daniel Tiger for his Grr-ific Stage Show, sing along with campers at Camp Fairy Tale or dine with Cinderella. 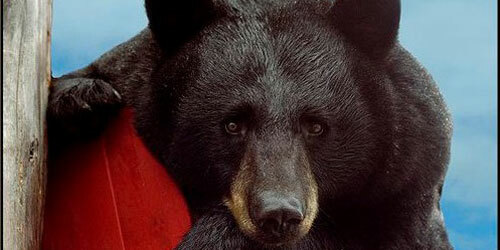 No lions or tigers – but bears? Oh my, does Clark’s Trading Post ever have bears. The trained bear show has been a favorite at the park for generations, but it’s not the only attraction. 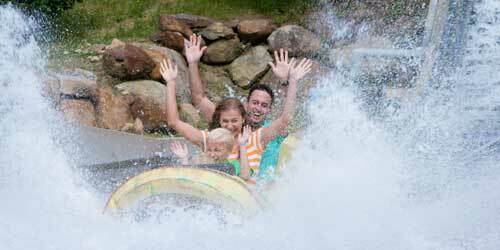 There’s also the Anaconda Escape water raft ride with 300 feet of twists and turns, the White Mountain Central Railroad (watch out for Wolfman! ), Yandong's Chinese Circus, Segway rides, Merlin’s Mystical Mansion, water-blaster boats, a rock-climbing tower and Tuttle's laser shooting gallery. You can also mine for gemstones and fossils, and after enjoy a treat in the Peppermint Saloon ice cream parlor or have your picture taken at Kilburn's photo parlor. At Conway Scenic Railroad, you’ll enjoy an authentic railroading experience as you journey on historic rail routes, with all trains departing from our 1874 station in the middle of North Conway Village. The Valley Trains travel past the Moat Mountain Range through farmlands, “over the river and through the woods” to Conway or Bartlett. 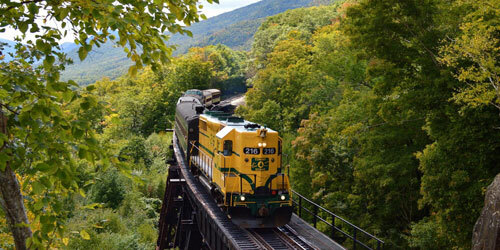 The Notch Train travels to Bartlett and then through Crawford Notch, offering some of the most dramatic scenery in the Northeast. Coach, First Class, and First Class dining options are available on all trains. Valley Trains run from April 15th through December 31st. The Notch Train operates from June 13th to October 28rd. Children under 4 ride free in Coach on the Valley Trains, and well-behaved dogs are always welcomed on any of our trains. 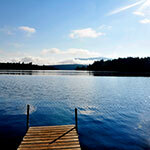 The White Mountains offer majestic scenery, family attractions, outdoor recreation, great food and shopping year round. It also has a special dinner train that can urn any event into a timeless and memorable experience. 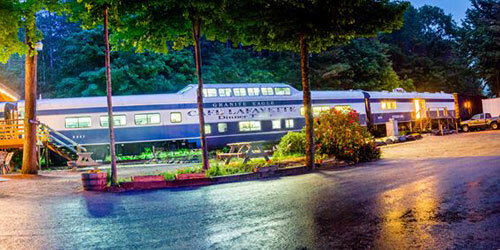 The Café Lafayette Dinner Train runs a 2hour 20 minute scenic and culinary journey in beautifully restored railcars along the western slopes of the mountains and the Pemigewasset river and back. Along the way you and your guests can celebrate your kinship or special event with local and seasonal foods, fine wines, exciting cocktails and gracious service. The train’s unique seating arrangement and layout offers intimate interactions for groups of any size, from a table of four, full railcar, the entire train, or anywhere in between. Some 300 million years ago glaciers moving across New Hampshire formed the wilderness wonderland known as Lost River Gorge & Boulder Caves. 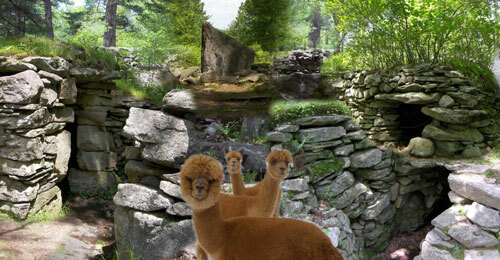 Today you can explore this unusual site during your White Mountains vacation. A three-quarter-mile boardwalk leads you into the gorge, where you'll find spectacular waterfalls, granite cliffs, a river that plays hide and seek, and the mysterious boulder caves. Step off the boardwalk and explore Thor's Workshop, the Devil's Kitchen, the Lemon Squeezer, Shadow Cave, the Dungeon, and the Judgment Hall of Pluto. You'll also find over 300 varieties of flowers, ferns, and shrubs. Pan for gold and fossils in the mining sluice. Come at night for an adults-only lantern tour. Open early May to mid-October. Sturdy footwear recommended. Pure Joy. Family Style. Every Summer. Enjoy the excitement of the holidays and the spirit of the most wonderful time of the year, all summer at Santa’s Village – New England’s only park listed by 2014 TripAdvisor Travelers’ Choice Awards as one of the Top 25 Amusement Parks in the USA. Featuring reindeer and elves, cookies and ice cream, a roller coaster, log flume, monorail, and plenty of other rides and activities, it’s a memorable visit to Santa’s summer home. One low admission price covers an entire day of memory-making fun for families with young children. Over 60 years and three generations, from our family to yours – Santa’s Village is pure joy, family style. Seasons: Open Memorial Day weekend to Christmas. You haven't really seen New Hampshire's White Mountains until you've trekked to Mount Washington's summit aboard the historic Cog Railway. The 6,288-foot ascent to the summit is the trip of a lifetime. 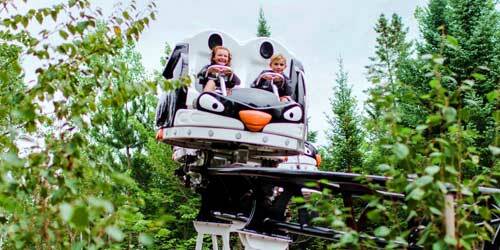 You'll pass through several climate zones as you move along the steepest railroad tracks in North America. And the mountain summit is the highest in the Northeast. Some days you can look down and see clouds. Other days, the view stretches all the way to the Atlantic Ocean. Send your friends a card postmarked from Mount Washington. Photograph each other at the summit marker. Lean all about this 19th-century engineering marvel at our Base Station, and enjoy a meal at the restaurant. 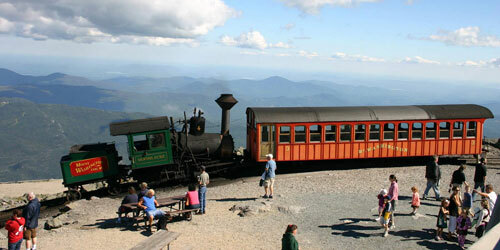 Trains climb the mountain from late April through November. Enjoy the trip! 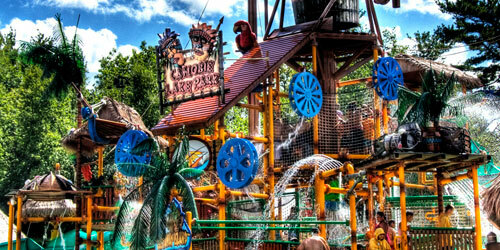 Experience America’s original man-made attraction! The timeless and dramatic beauty of the Presidential Range and the highest peak in the Northeast is yours to enjoy when you drive your own car or take a comfortable, 2 or 3-hour guided tour on the Auto Road. 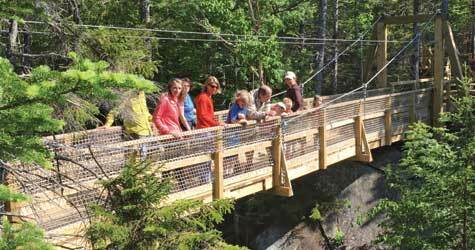 Adventure can be found all the way up to the 6,288-foot peak where, on a clear day, visitors can discover panoramic views spanning the mountains and valleys of New Hampshire, Maine, Vermont, and even north into Canada and east to the Atlantic Ocean! 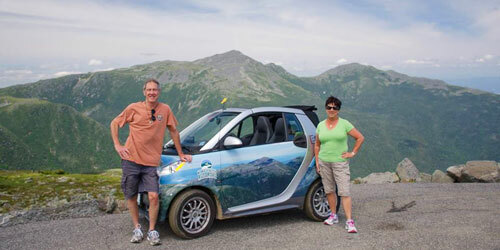 Rain or shine, and included with your Auto Road ticket, the entire family will love the new interactive museum “Extreme Mount Washington” located on the summit, brought to you by the Mount Washington Observatory. Imagine castles made of ice, with some tower points reaching 25 feet or more into the air. Inside fountains have frozen over, tunnels and caves are ready for exploring, icy thrones await royalty and slides stand ready for kids and adults to zoom down. That’s what it’s like at the Ice Castles, where everything, including paths, is made of ice (10,000 icicles a day!) and snow, the walls 10 feet thick. 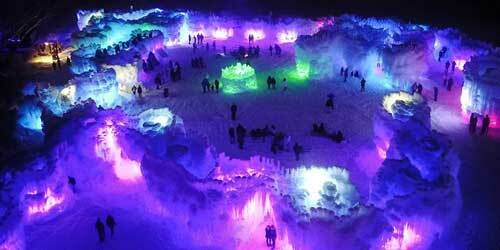 At night, the castles are even more amazing, as colored LED lights frozen inside the ice turn it into the shades of the rainbow while music plays. Perfect for families, romantic dates – and unbelievable photos – the castle sits on an acre of land. Hot cocoa and apple cider are sold outside. Tickets are guaranteed to sell out each weekend - be sure to buy yours in advance on our website! As New Hampshire attractions go, this one is certainly unique. Set in the beautiful Connecticut River Valley and up along gradual sloping hills, Morningside Flight Park offers unforgettable aerial thrills, including hang gliding, paragliding and zip-lining. Not a fan of heights? Morningside offers landlubber activities like outdoor laser tag, kayaking, swimming, fishing and picnicking as well. Camping options, including platform tents and a hilltop cabin, along with a kitchen and bathhouse make it cozy and comfortable for those staying overnight. 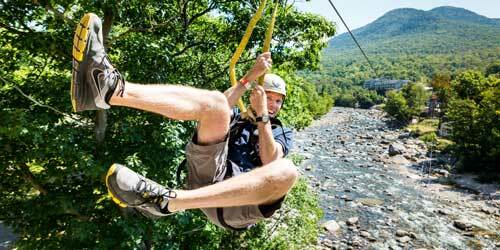 Morningside is within easy reach of Boston, Hartford, Portland, Montreal and New York and has been New England’s go-to aerial adventure venue since 1974. 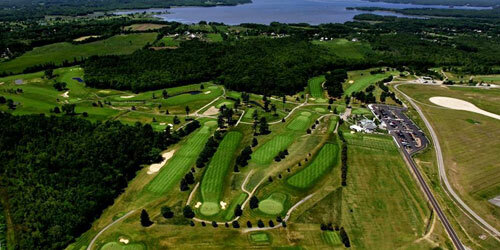 Play 27 holes of the finest golf in northern New England. Play though leafy woodlands, streams, and manicured greens, uniquely enjoyable and suitable for every skill level. April through November, take advantage of the great playing conditions at Pease with three 9-hole courses that allow you to mix and match the nines that you want to play with your own degree of difficulty. 4 sets of tees provide 4,700 to 6,400 yards of great golf. Keep your head in the game and your swing in a groove year-round with PGA Tour simulators. Visit the clubhouse restaurant “Grill 28” for breakfast, lunch or dinner, great food and drinks, live entertainment and fun events with something for everyone. Meeting and function space available. 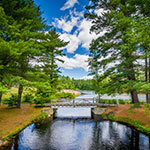 A visit to the Castle in the Clouds, an elegant small mansion tucked high up in the Ossipee Mountains, is a chance to see some of the Granite State’s most beautiful features, including waterfalls and vast vistas. The house was built in 1914 by a wealth shoe manufacturer and his wife in the Arts and Crafts style of curving lines, forms from nature, and hand craftsmanship. Also in the property are hiking trails, horseback riding opportunities, and a restaurant and art gallery in the former Carriage House. You can tour the house independently or with a guide and see original furnishings and even the mistress’s early 20th-century wardrobe. 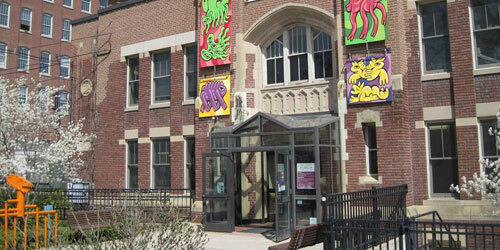 Children and welcome and the staff offers some fun activities for the younger set. 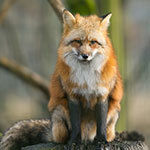 Open weekends through May and daily from June to October. Fun for Everyone in Any Season! Visit this amazing educational venue and discover multiple ways to enjoy science, math, world cultures, the arts and New Hampshire history and ecology. Great for kids and families as well as parties and special events, the Museum offers self-guided and educator led group visits during the school year and summer months. The Museum is wheelchair accessible and children on the autism spectrum and their families can visit during an exclusive time on the first Sunday of the month during the school year. There are also child size noise-canceling headphones and social stories for children who might need a quiet spot. The museum Shop has a wide selection of high quality games, toys and books in a variety of price ranges. Parking: five cars, 24 hours, no fee. Stocked river section; kayak access. Restroom: none. Information: New Hampshire Fish & Game Department at 603-271-3511. 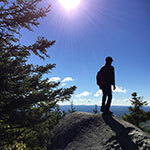 New England has a warm heart -- the Monadnock Region! Nestled withing the peaceful valleys of south-western New Hampshire, the "heart" of New England, lies the Monadnock Region. 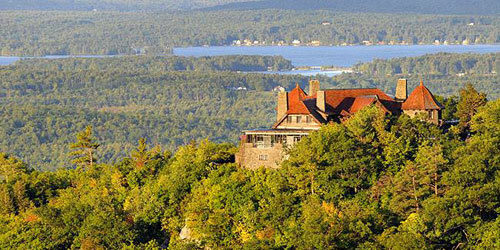 Discover breathtaking scenery, picturesque lakes, Mount Monadnock and quaint New England villages. Enjoy tax-free shopping, wonderful dining, cozy bed & breakfasts, covered bridges, hiking, fishing, swimming... and more. We are a short drive from Boston, MA and Hartford, CT (2 hours) and only about 4 hours from New York City. Discover friendly, helpful people just waiting to welcome you to the Monadnock Region!